Ceramic mosaic composed of 8 rectangular pieces with convex relief and textured surface old golden. Add a regal touch to your home with the striking Aston mosaic tile. 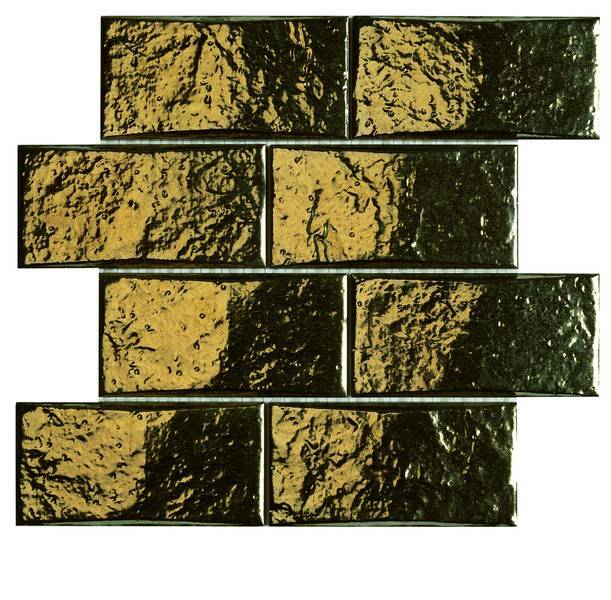 This attractive ceramic mosaic sports a highly attractive textured gold finish that will add grandeur to any room. It is ideal for use in kitchen splashbacks and in indoor feature walls. The Aston mosaic is available in a standard size of 30.6×30.3cm and is sold per piece. Each tile is composed of 8 rectangular brick-like pieces, designed to offer a convex relief. The Aston mosaic tile is bold in its design. The textured finish offers an old, princely charm which is sure to attract onlookers. And, thanks to special manufacturing, this tile can be installed with minimum grouting, which allows for a neater and more modern finish. 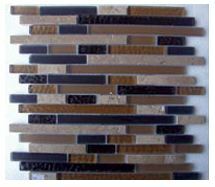 Despite being affordably priced, this mosaic tile exhibits many qualities of a superior grade product. Moreover, it is incredibly easy to clean and requires almost no maintenance at all. 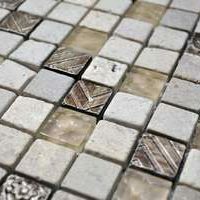 The Aston mosaic tile will retain its good looks and charm for many years. 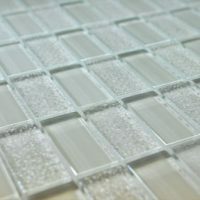 If you’re looking for a highly attractive mosaic tile in Perth, consider the Aston mosaic tile. Buy this royal tile at the lowest price from our online store today!